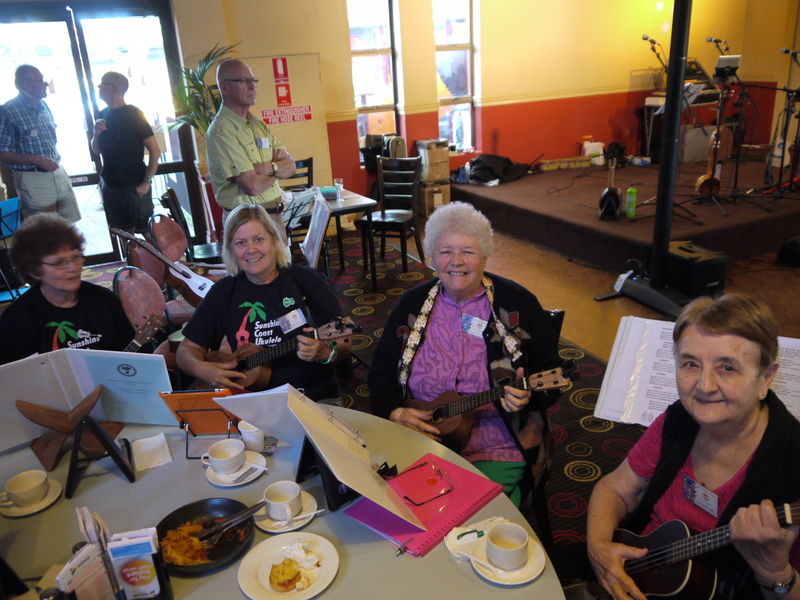 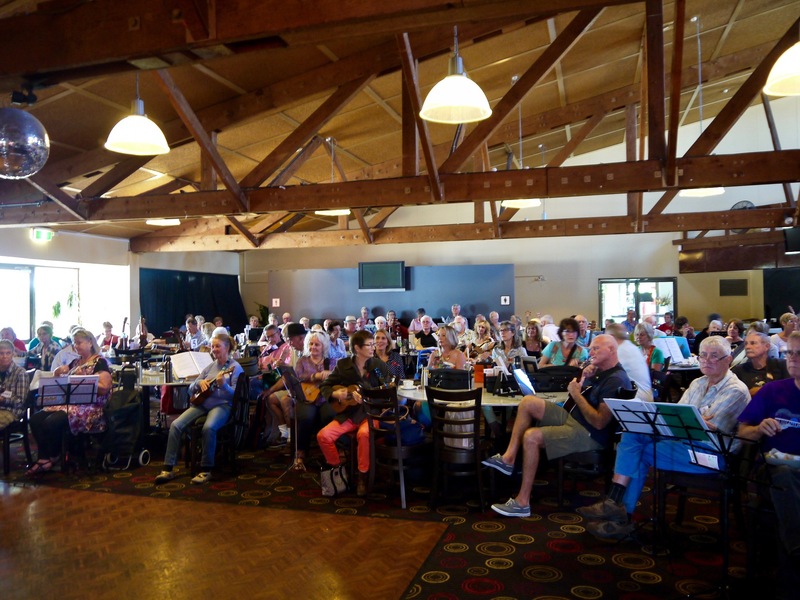 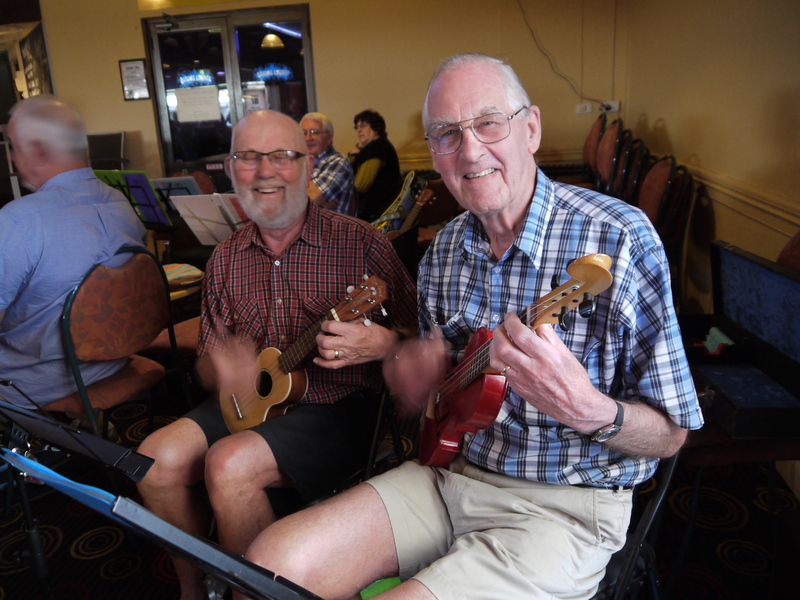 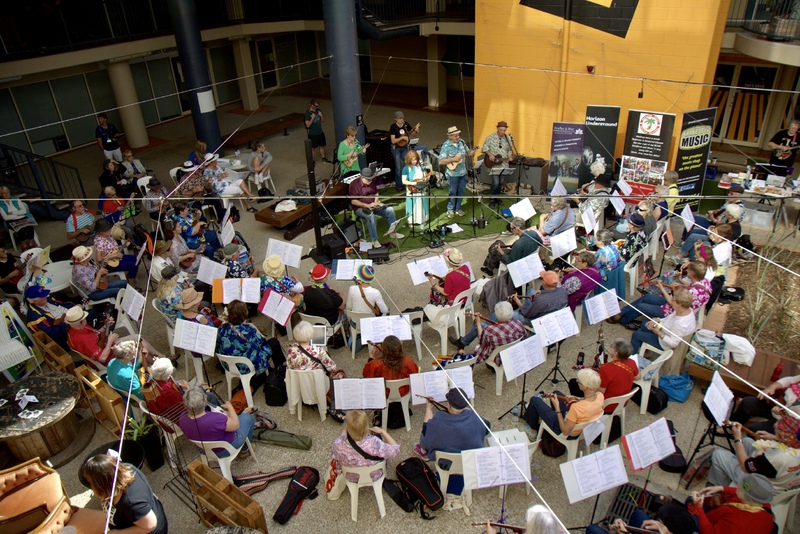 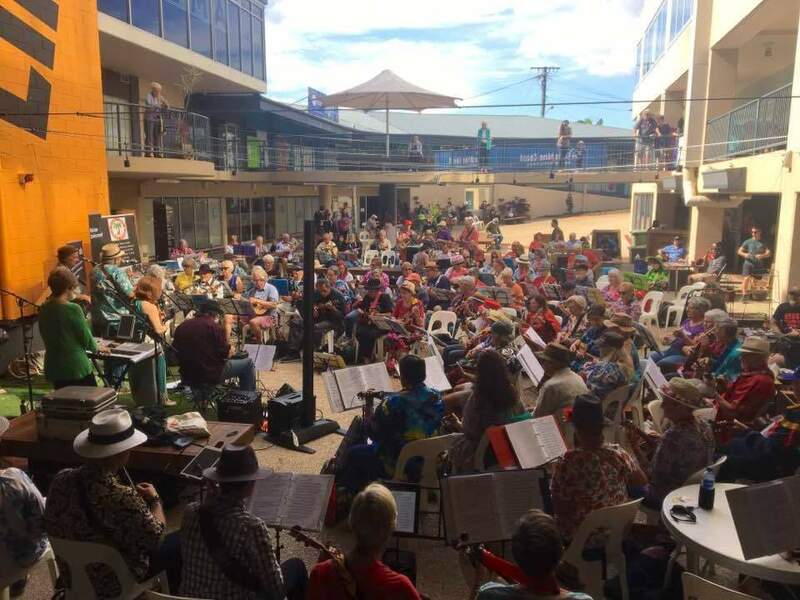 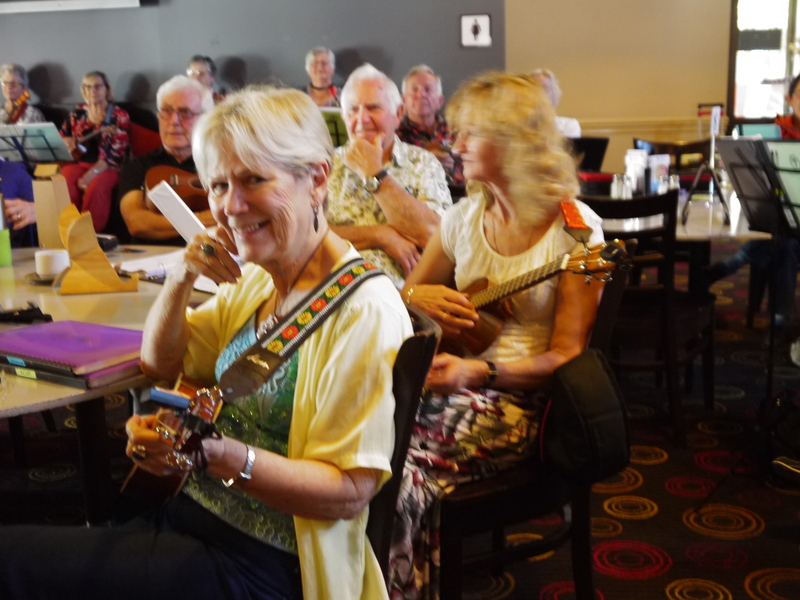 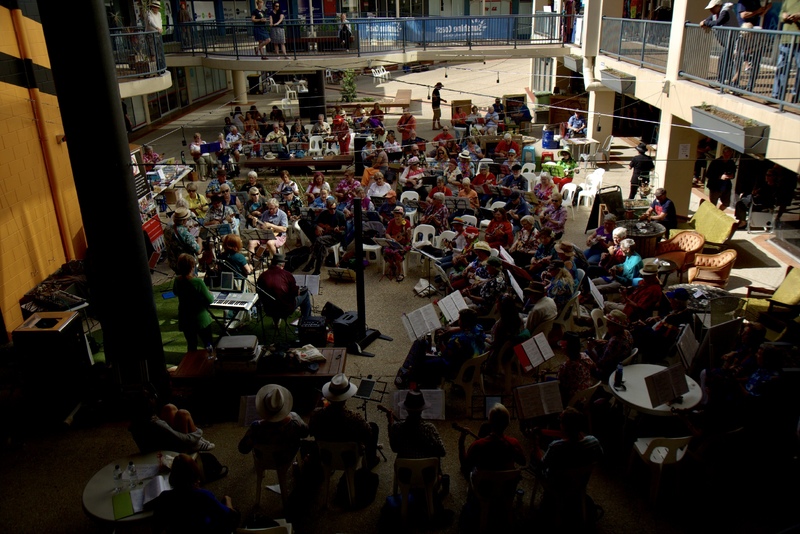 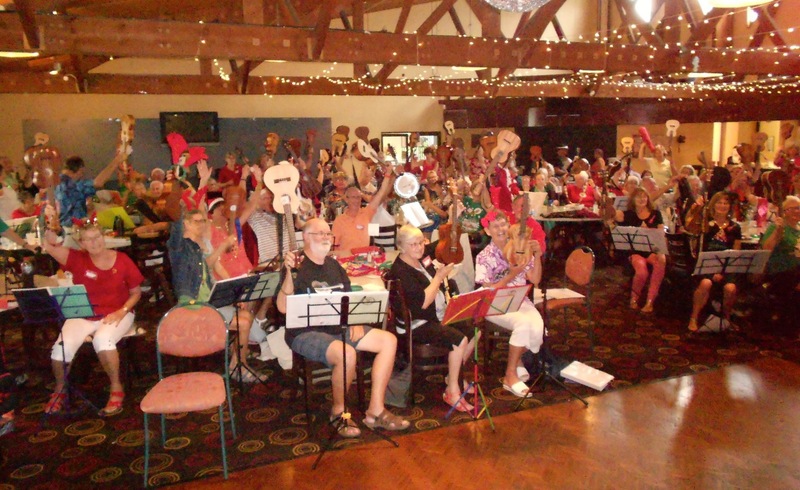 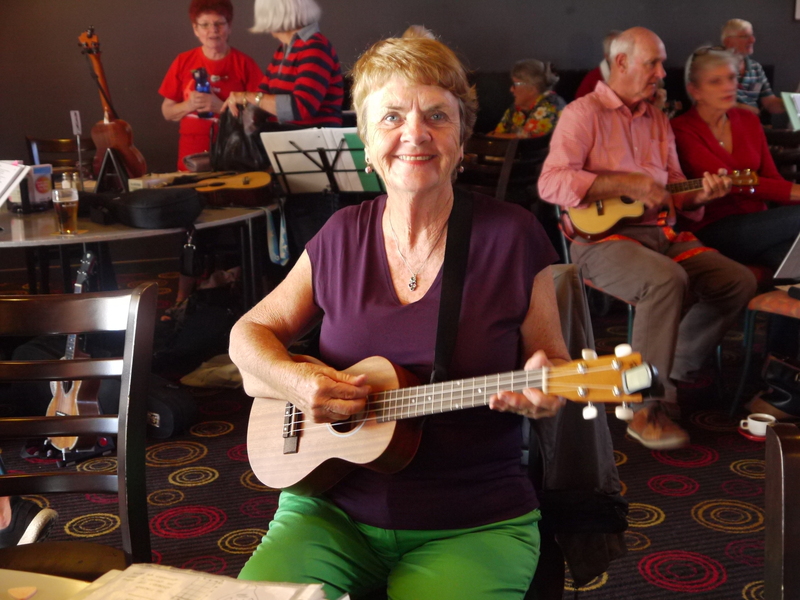 Sunshine Coast Ukulele Masters Inc started in June 2009 with 10 people and just 6 songs to kick us off. 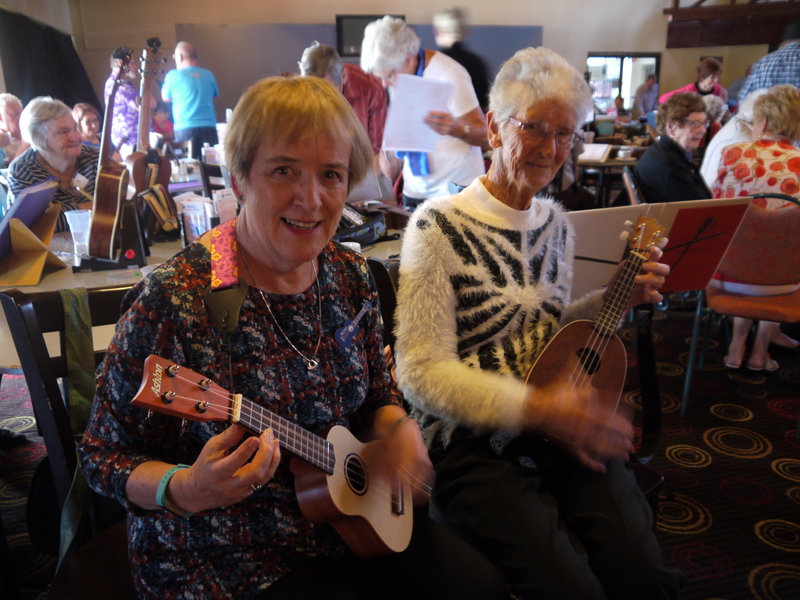 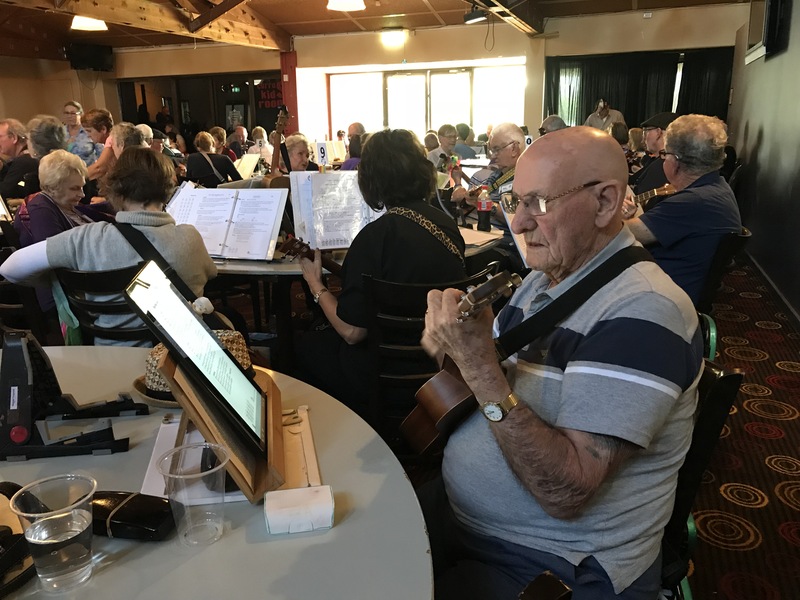 Our club has come a very long way in that time with an annual membership of over 400 happy ukers, 2 great meetings each month and an annual ukulele festival. 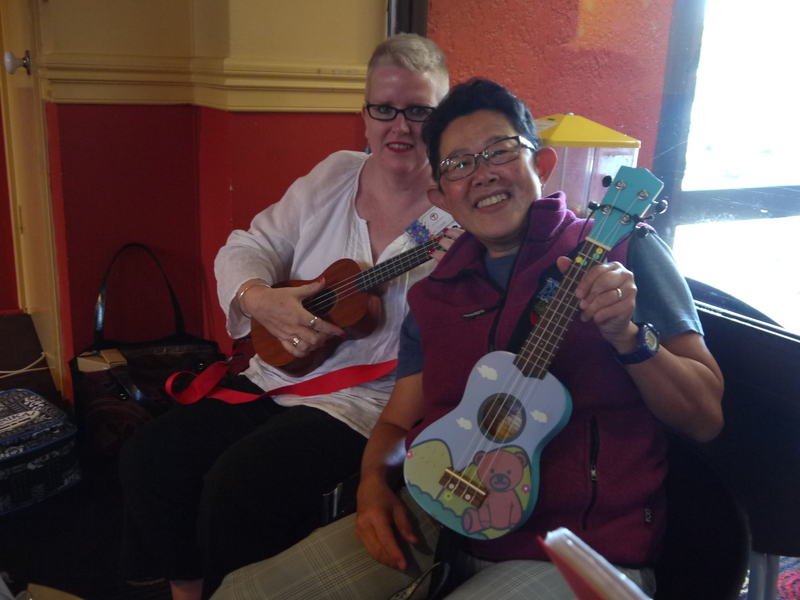 Membership is for anyone who wants to be part of our big, happy ukulele family. 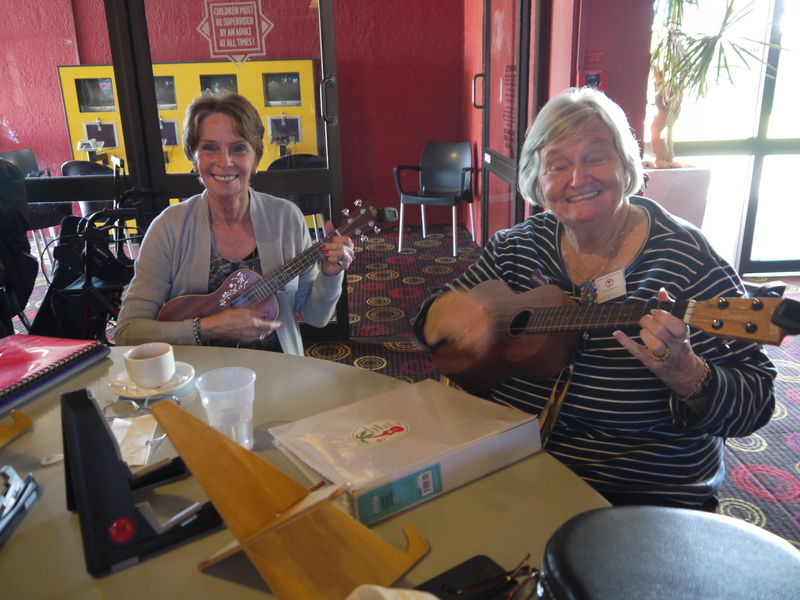 The cost is an annual fee of $20 with membership renewals starting in January each year. 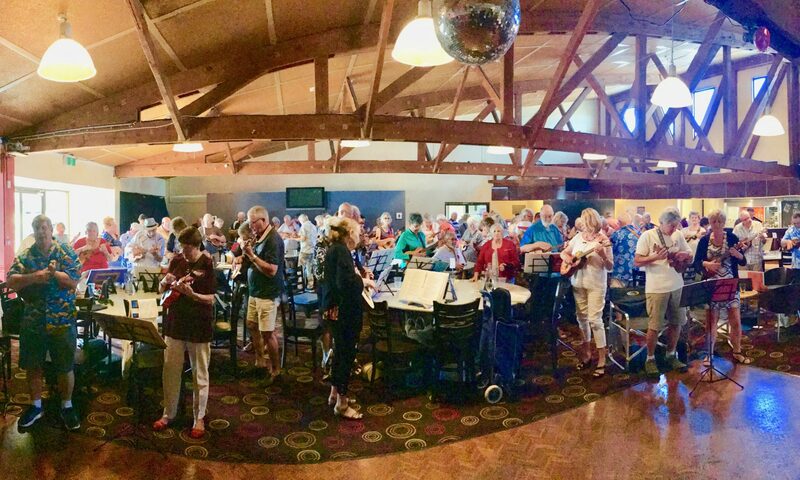 To keep our annual fees down, we ask that each time you attend a meeting, to please pop a $2 coin into the bucket as a donation. 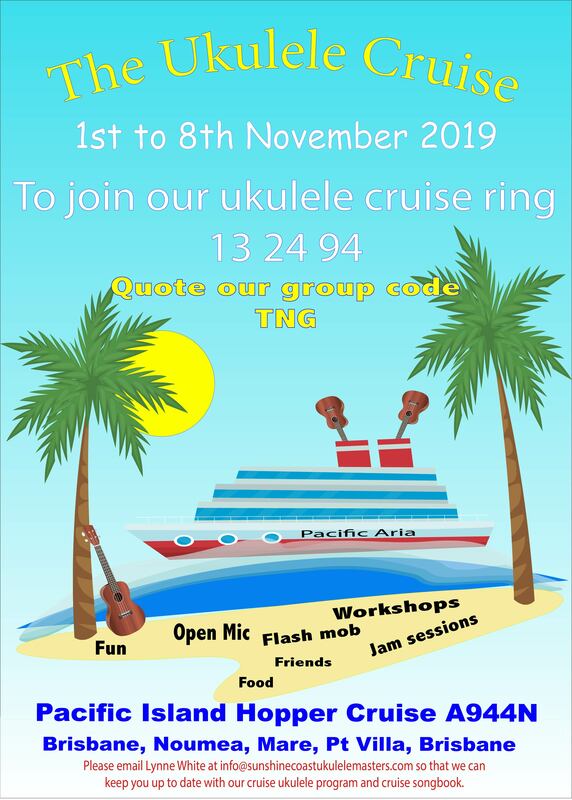 Please follow the directions on the form for your fee payment. 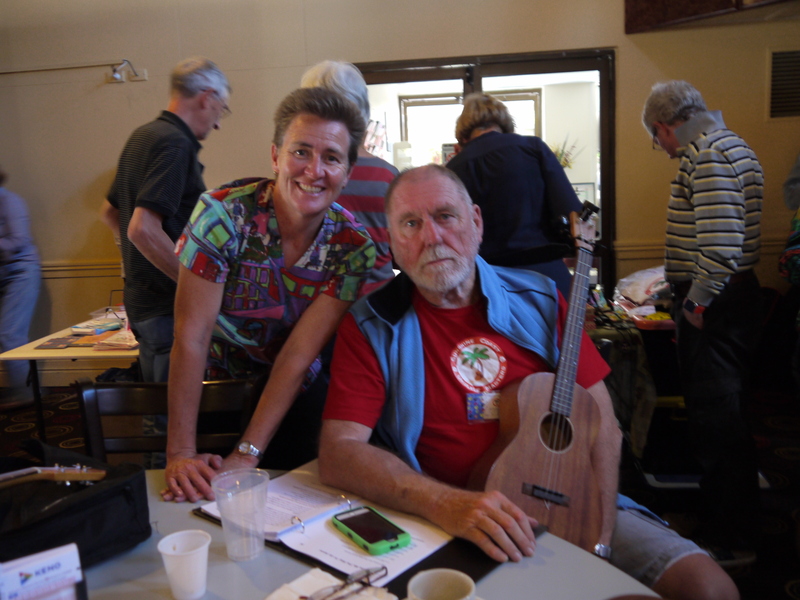 You can also join up at one of our meetings. 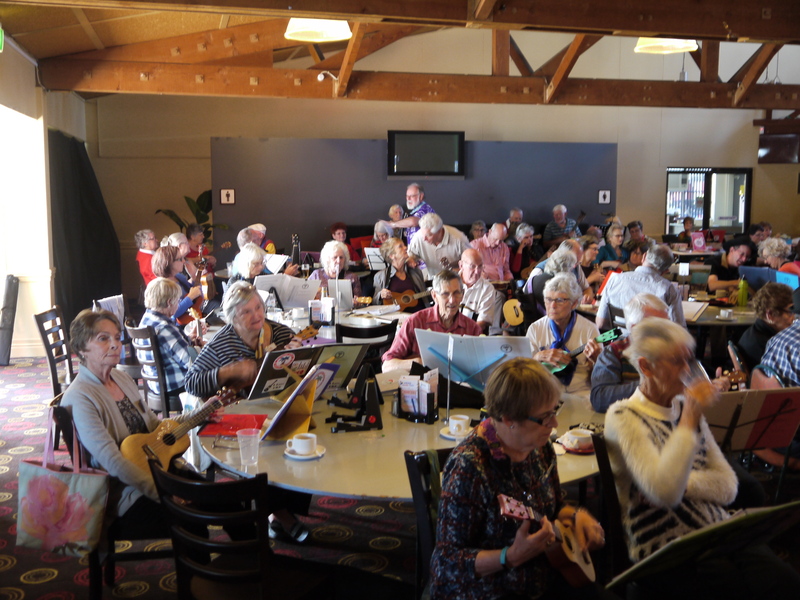 If you’re not sure about becoming a member, you’re welcome to come along and check out what we do. 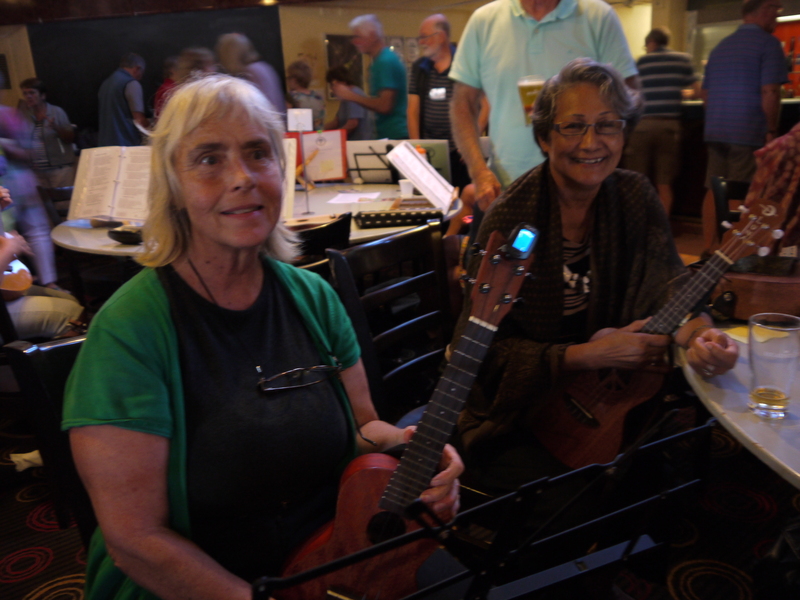 Bring your uke and come and have a play and a sing with us. 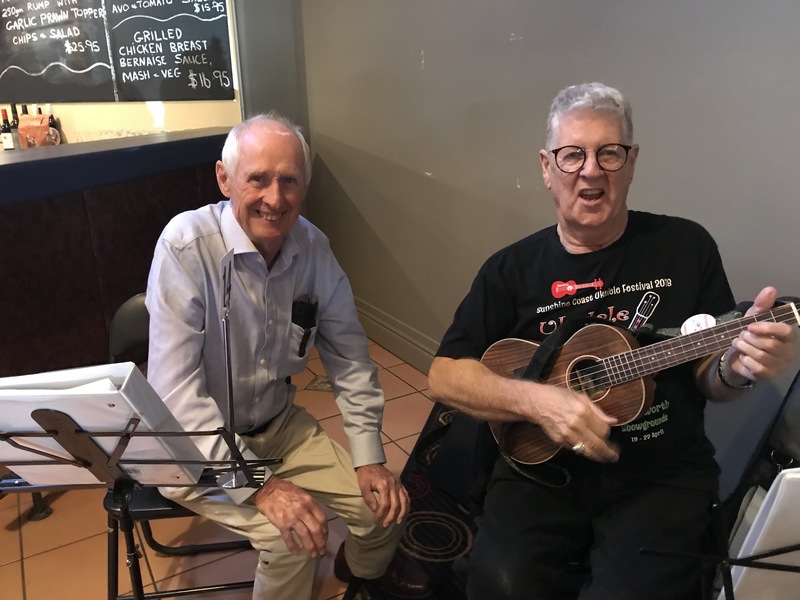 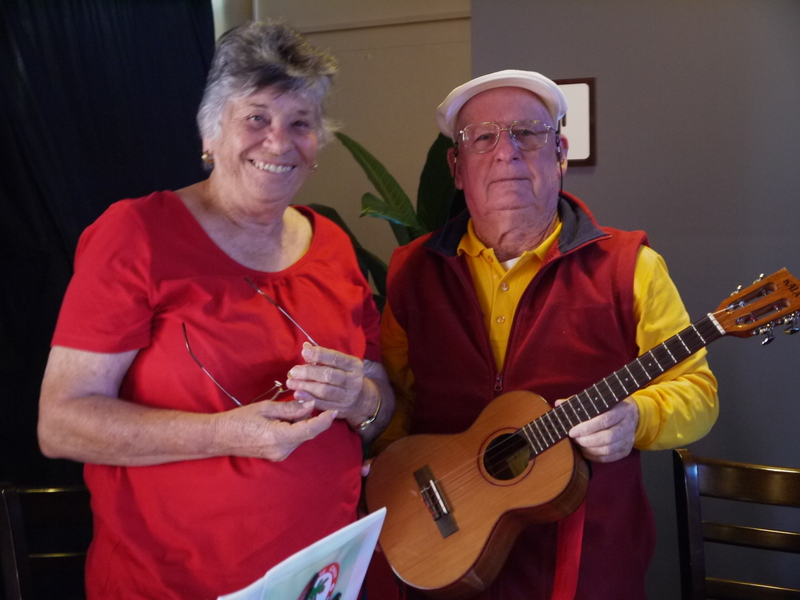 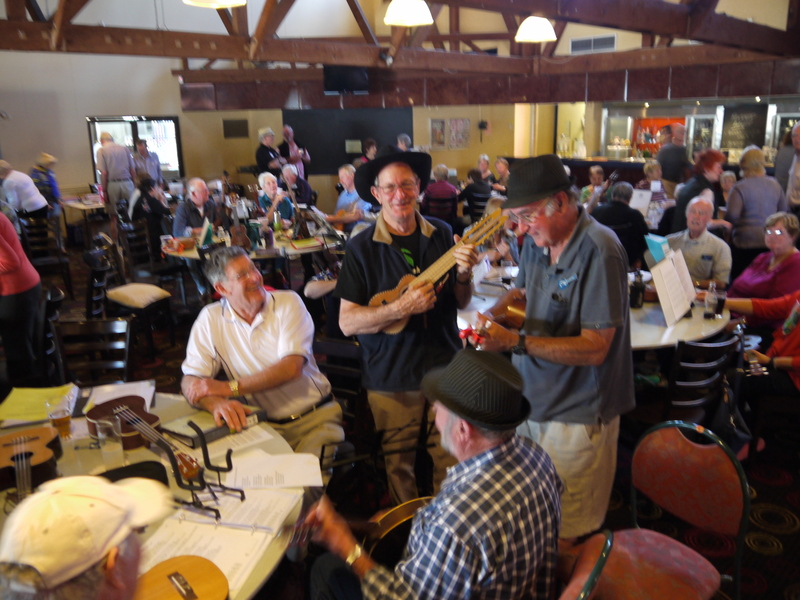 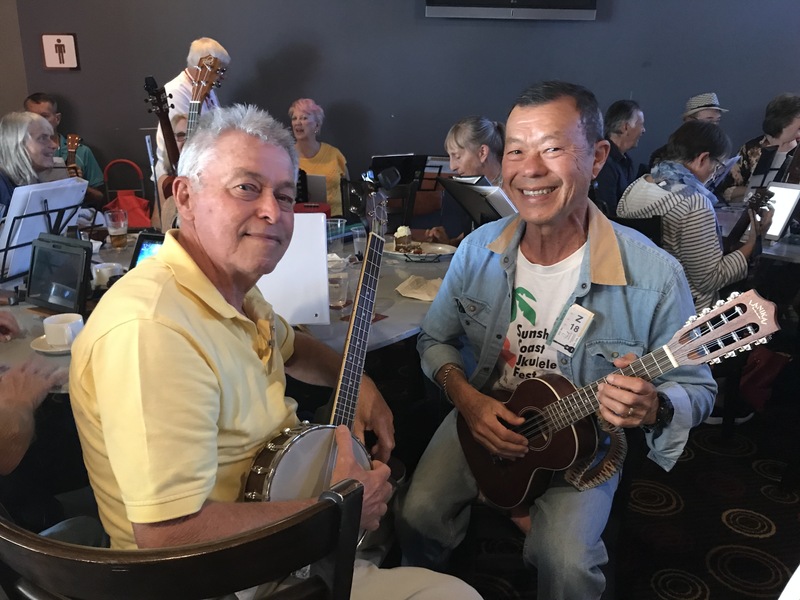 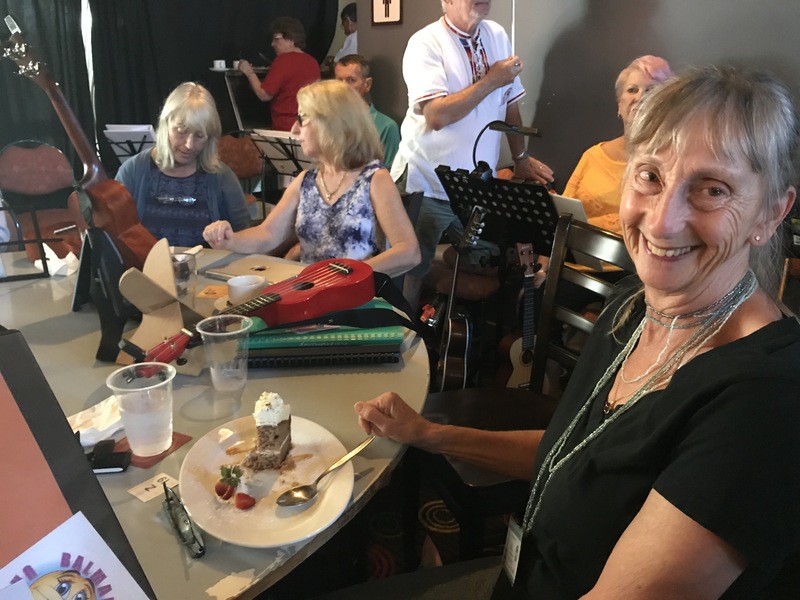 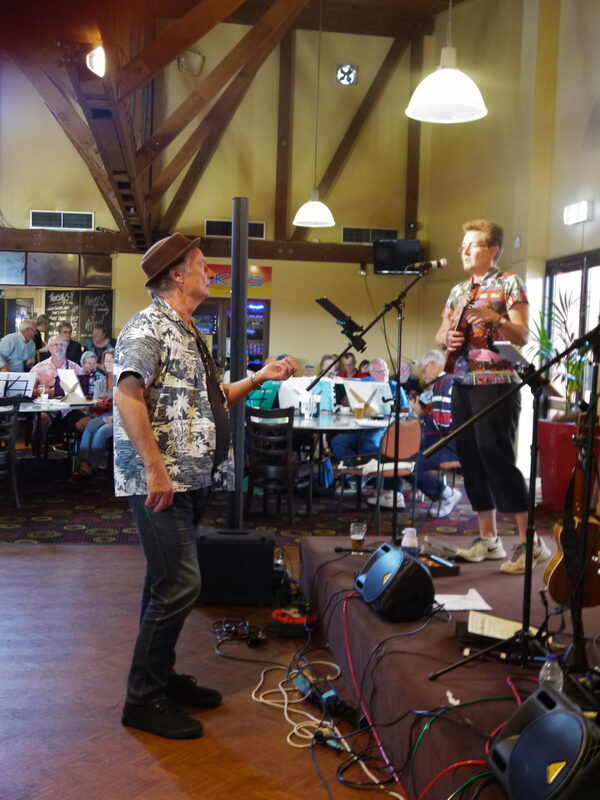 We meet at Joe’s Waterhole in Eumundi on the 2nd Sunday of each month and Currimundi Hotel on the 4th Saturday of each month. 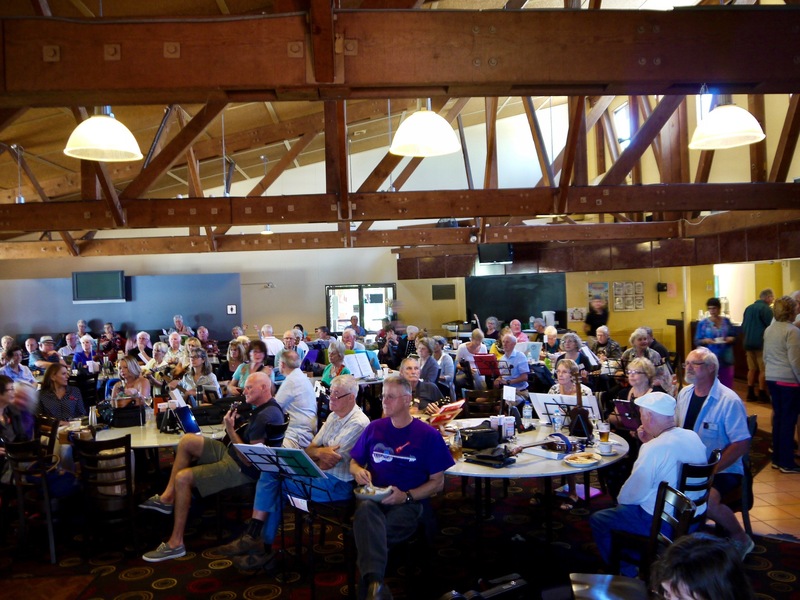 * It’s important to note that these twice monthly meeting days are subject to change. 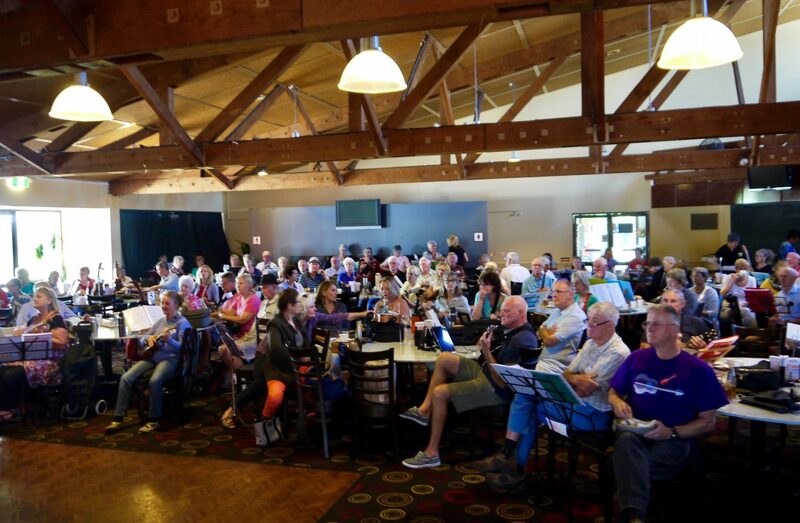 Please always check our Meeting Dates & Times page for any changes. 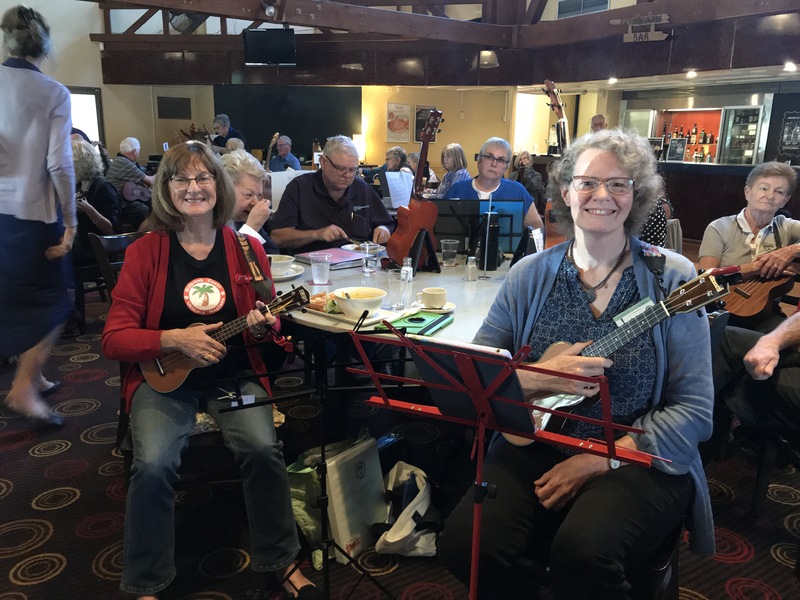 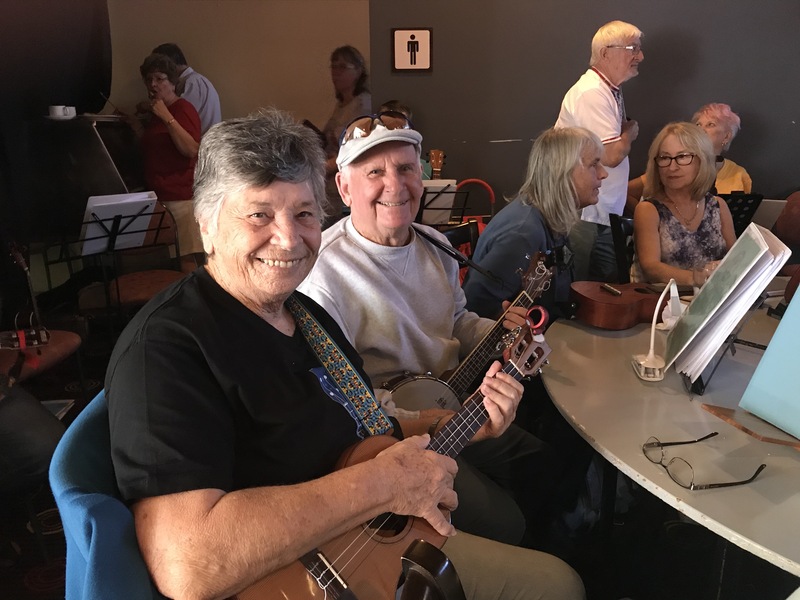 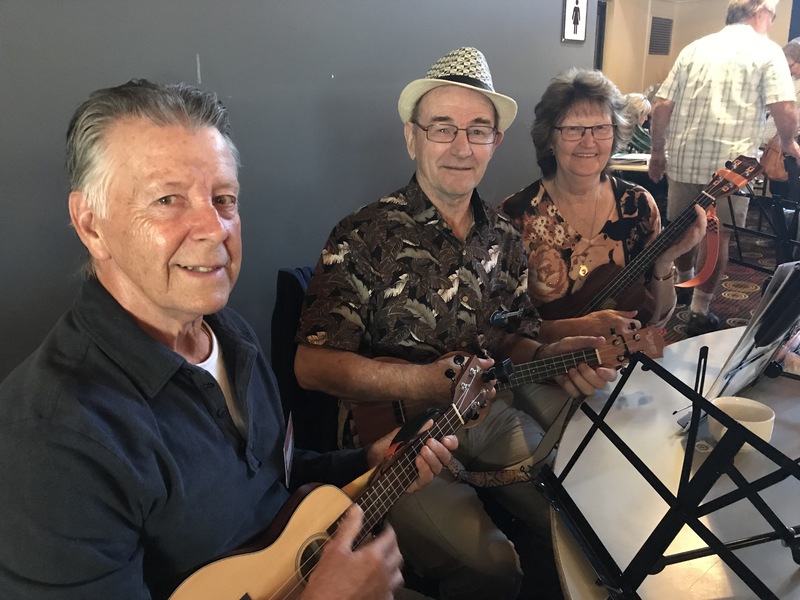 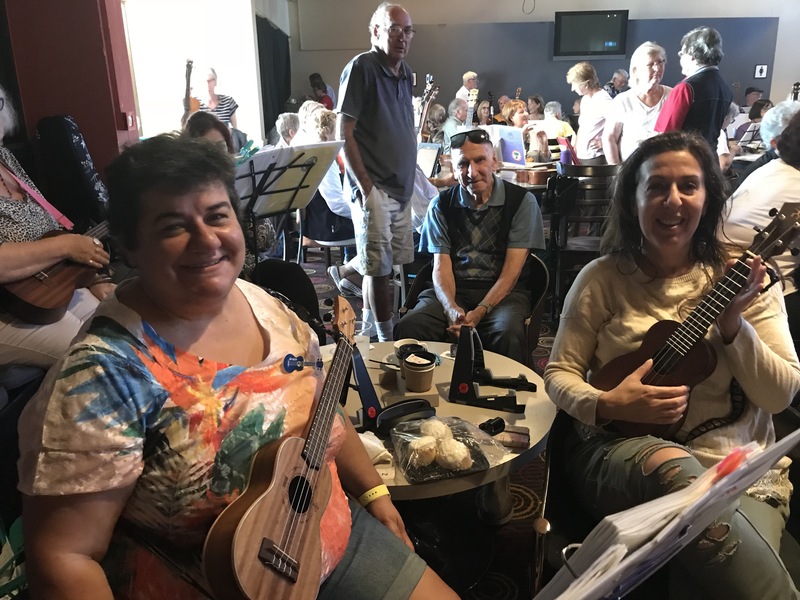 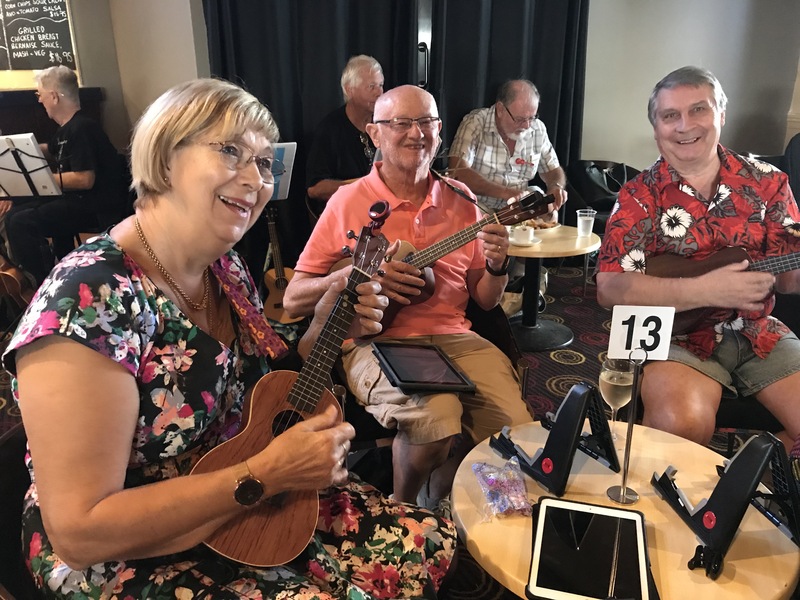 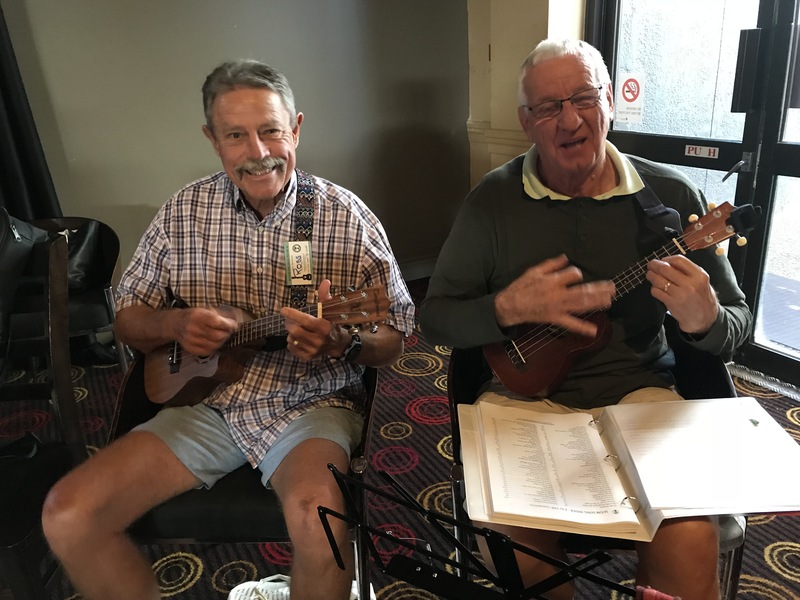 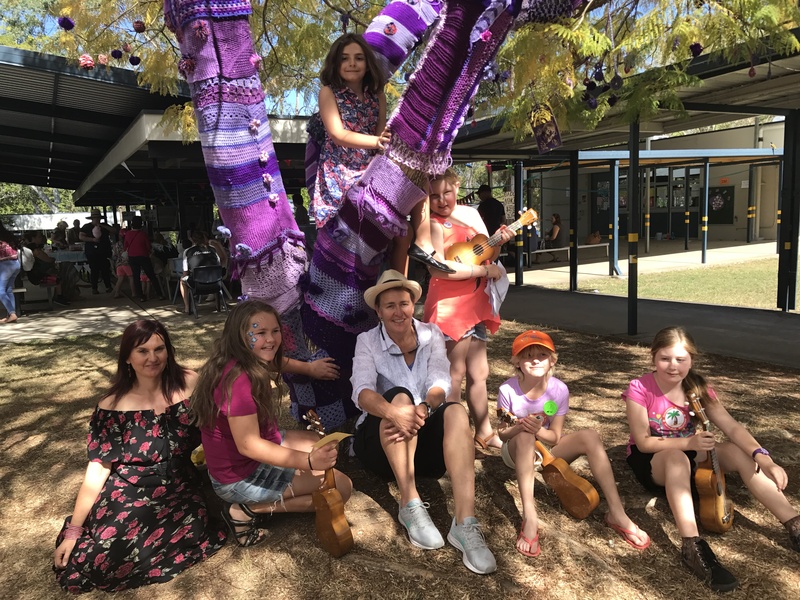 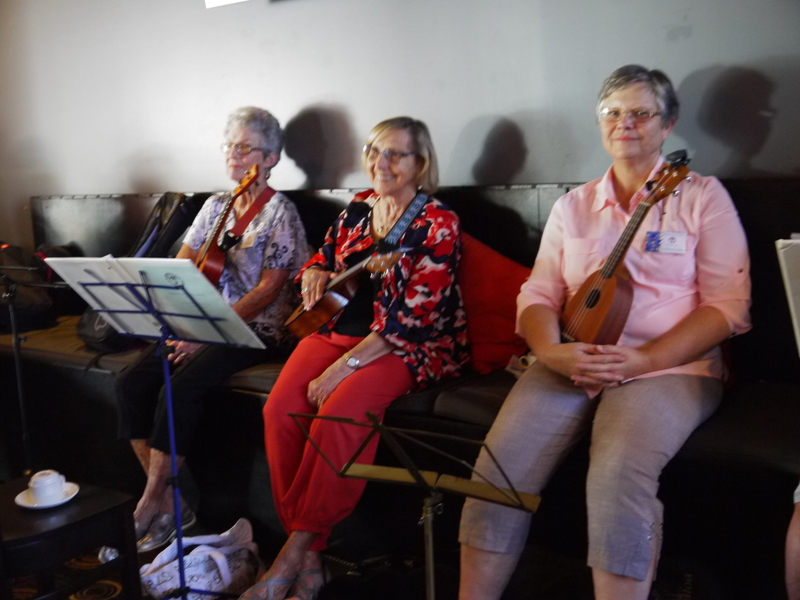 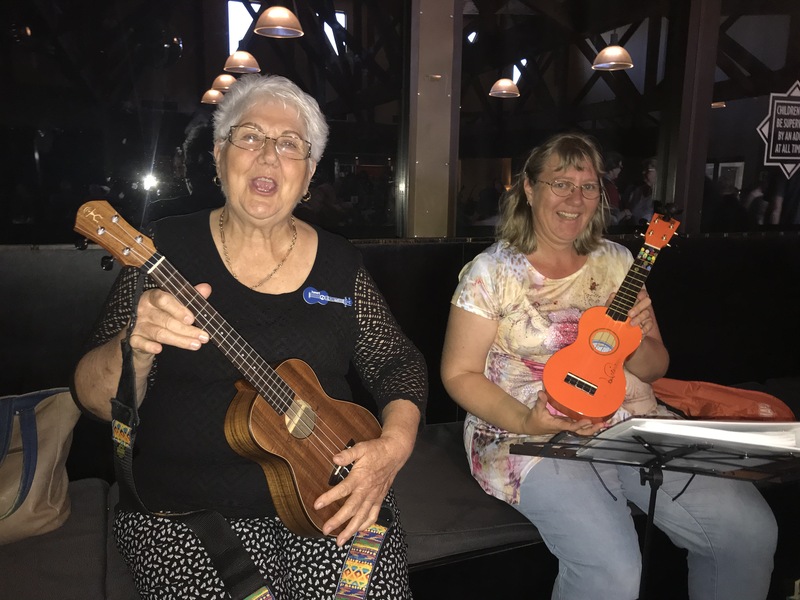 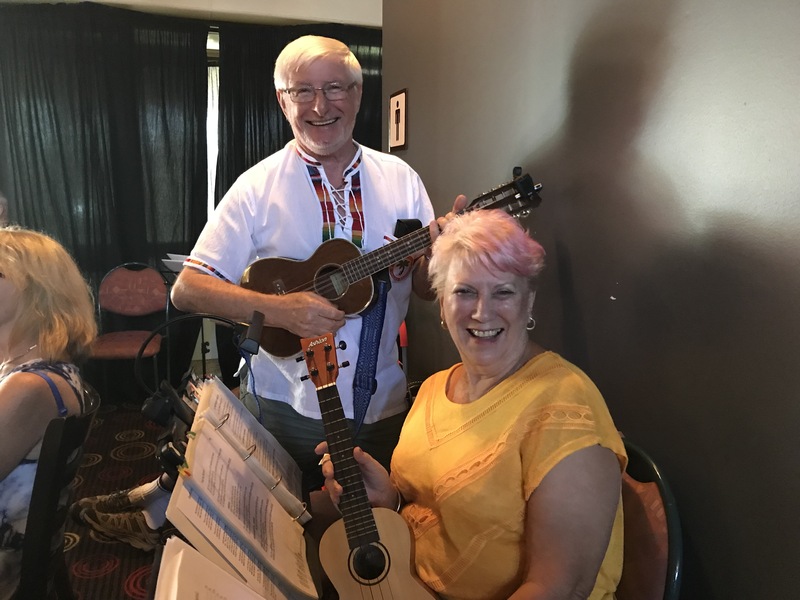 Pineapple Crush have been having a lot of fun together over the past 4 years, coasting up and down the east coast, way out west and all over the Sunshine Coast sharing their love of ukulele playing, great song arrangements and fabulous vocal harmonies. 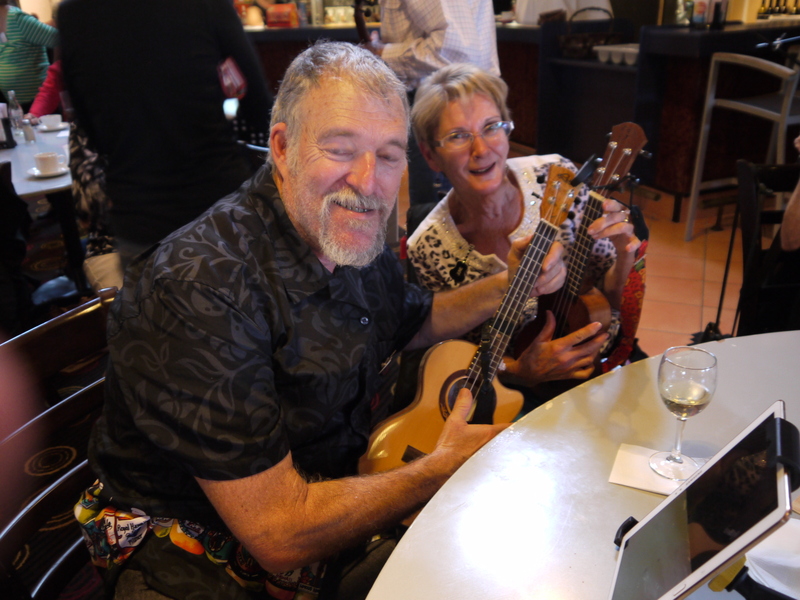 Their songs cover a wide range of era’s and genre’s from slow ballads to rock ‘n roll to Bluegrass. 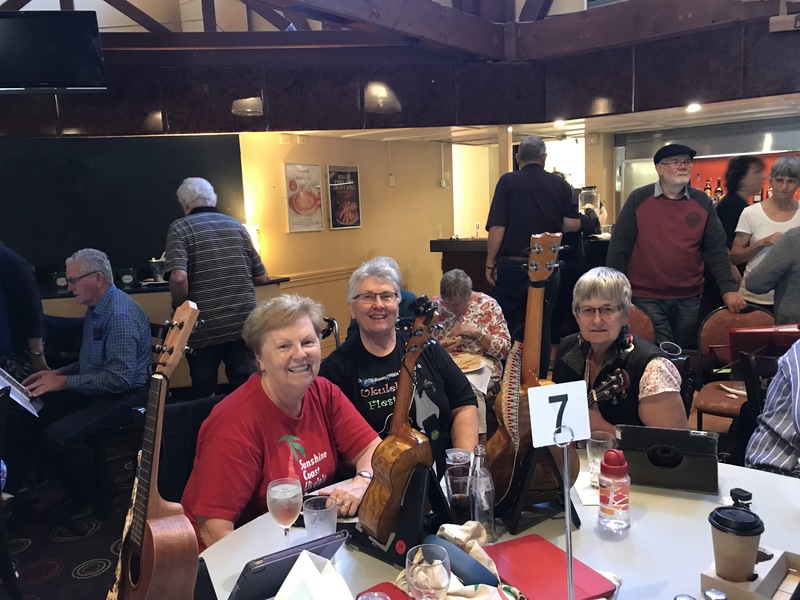 In 2016 the name change from the original UkeCrazy People came about after months…….and months….and…..errrr months of debate, trial names, wine and cocktails. 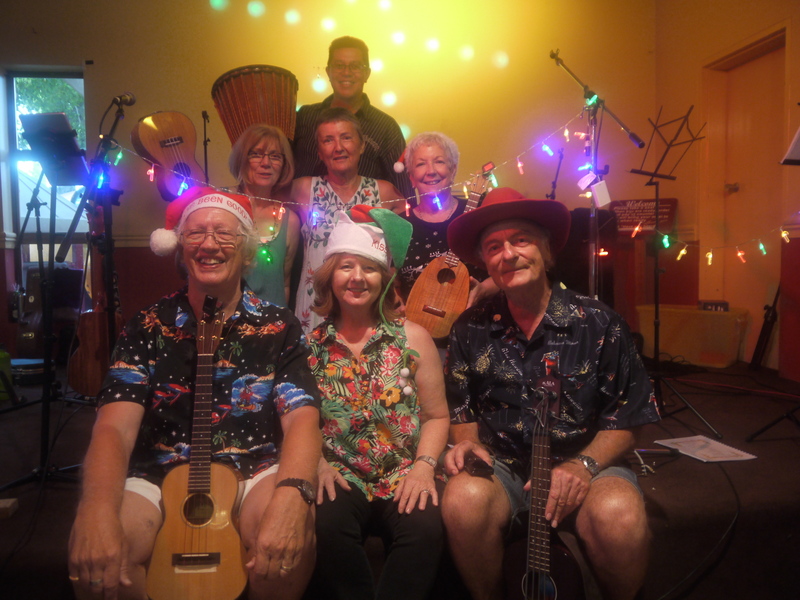 Pineapple Crush reflects several things to the band, but mostly they just like pineapples. 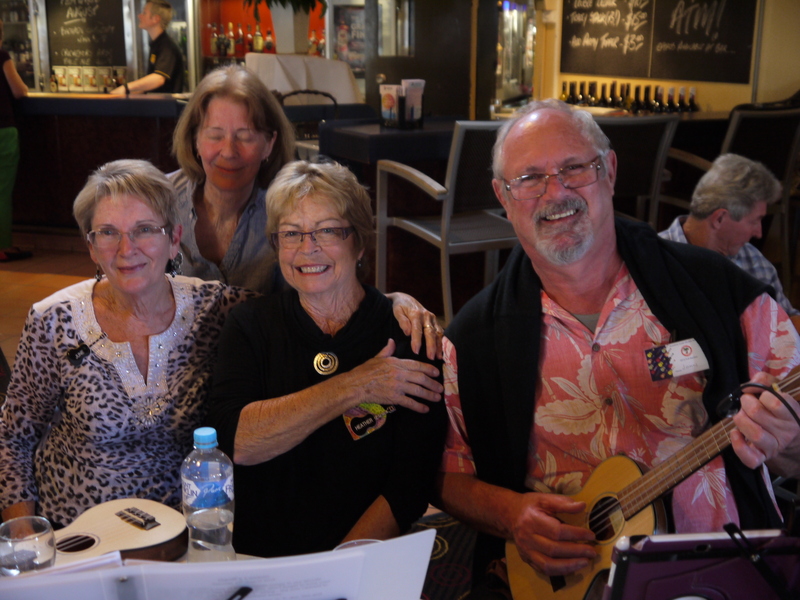 And cocktails. 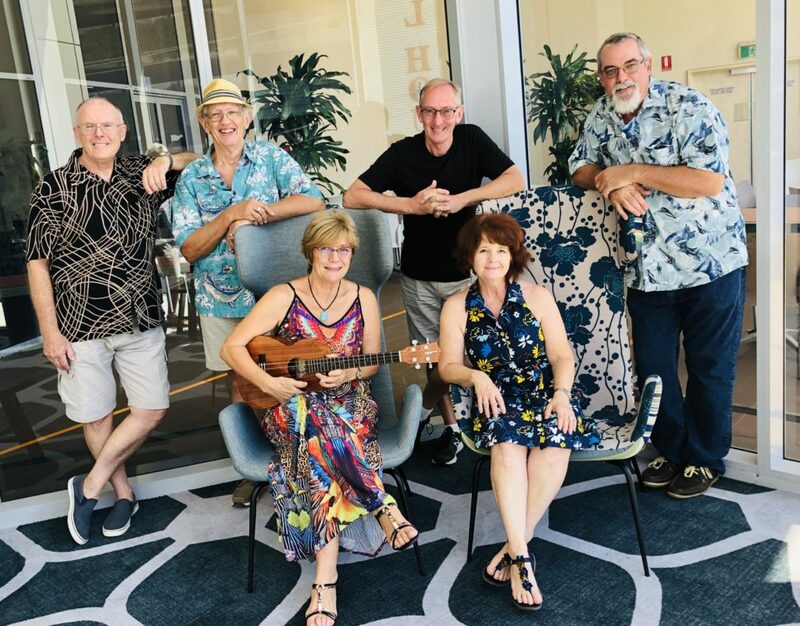 In 2015 Pineapple Crush (then called UkeCrazy People) recorded their first album entitled Spring Fever, which also features a songbook with the chords & words to the 14 songs on the album. 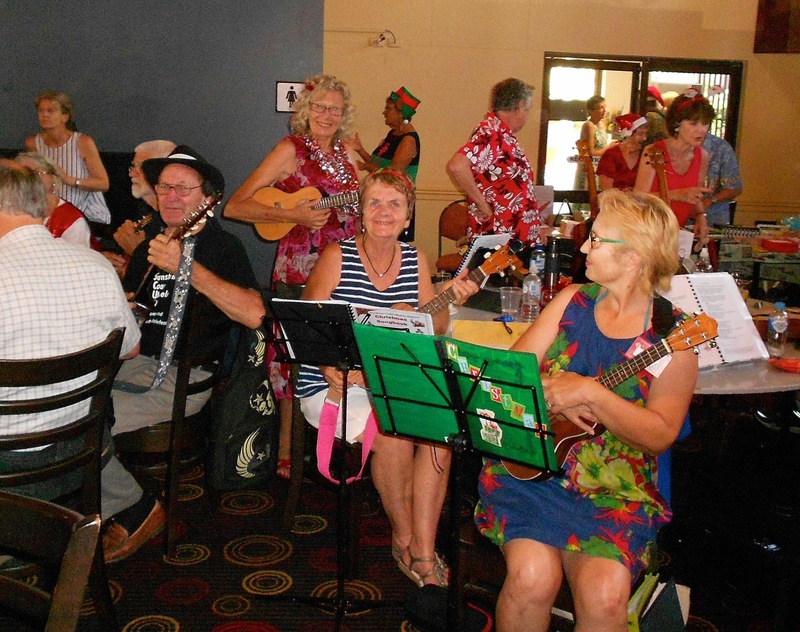 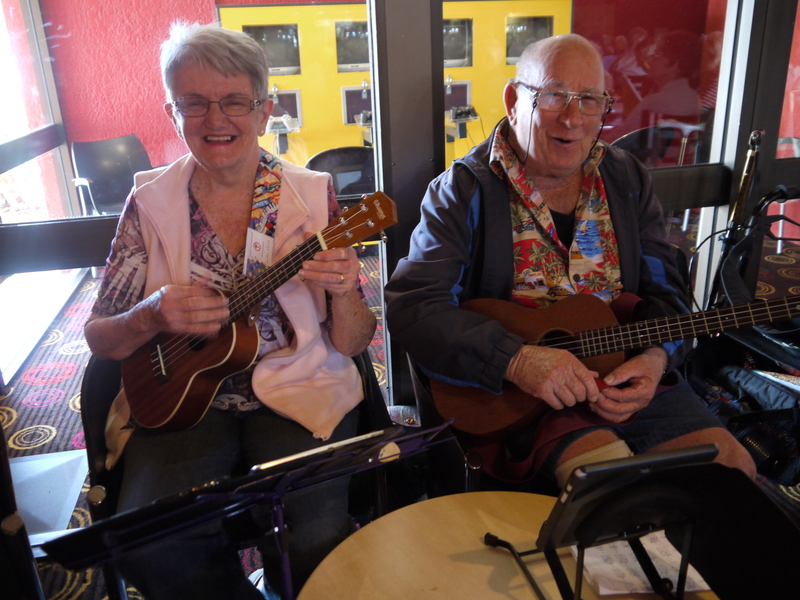 Contact us for band bookings, ukulele workshops, ukulele jam sessions and club Flash Mobs!